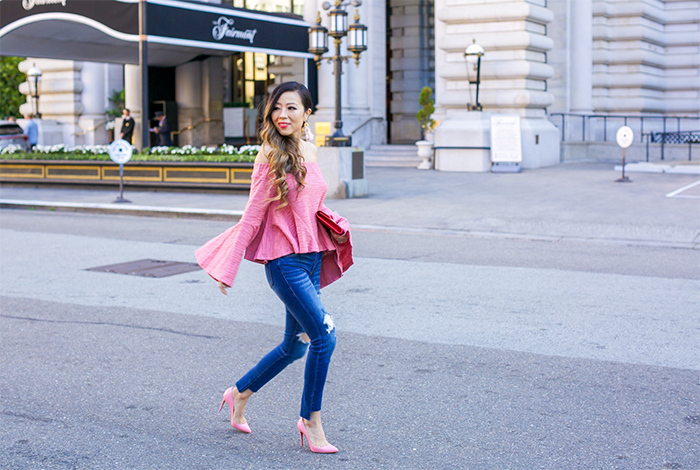 Pink is always a good idea. 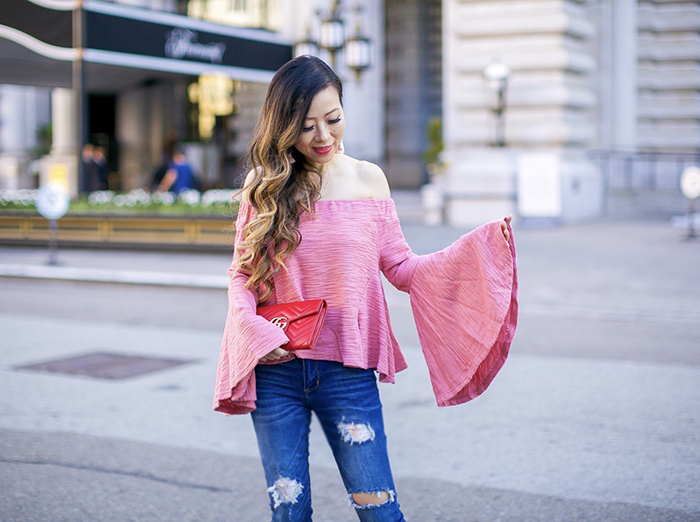 This off shoulder bell sleeve top has really nice texture and material. I'm totally obsessed. How cool are these ripped jeans! They are only $65 and they are true to size. Happy Monday, my loves! Have a great one!